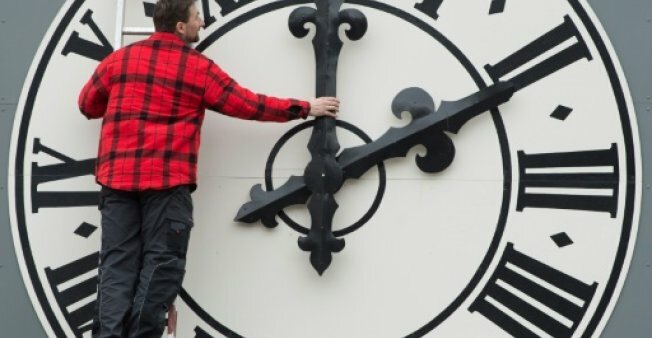 GENVAL: The European Union said Friday it will recommend abolishing the twice-yearly clock change amid unprecedented demand from European citizens who called it disruptive and even harmful to health. European Commission chief Jean-Claude Juncker said “summer time should be year round” with his commissioners pledging to act on the move during their annual retreat to a lakeside hotel in Genval, Belgium. “Millions of Europeans used our public consultation to make their voices heard,” Bulc said. “The message is very clear: 84 percent of them do not want the clocks to change anymore,” the Slovenian commissioner said. According to preliminary results, some 4.6 million European citizens responded to the online poll — the biggest in EU history, Bulc said — on whether they wanted the change. Under the new proposal, it will be up to each individual member state to decide whether they follow winter time or summer time. The EU has backed a uniform seasonal clock-change for 12 years after many European countries began the practice in World War I on the premise it saved energy. The practice was reinforced during World War II and during the energy crisis in the 1970s. “There is no obvious evidence that energy is saved,” she told reporters at the swanky lake-side hotel. She said citizens complained about disruption to their home lives, the number of hours spent in darkness, as well as negative effects on their health. Speaking to German public broadcaster ZDF, Juncker said the survey indicated “summer time should be year-round, and that’s what will happen”. “I will recommend to the Commission that, if you ask the citizens, then you have to do what the citizens say,” said Juncker, speaking in German. The survey was conducted between 4 July and August 16. Public consultations are one of the tools the Commission uses to assess policy, along with scientific studies.